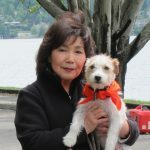 Kay Hirai is a successful entrepreneur and owner of Studio 904 on Mercer Island, WA. Kay was born in Japan and came to the United States at the age of eleven. She entered American school as a fifth grader, not knowing a word of English. 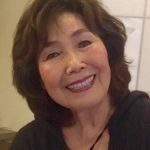 Most of her school years were spent struggling to learn the English language and taking care of her ailing mother. 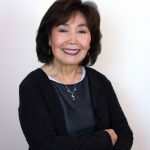 She has written three books, “Yumi’s Life Lessons” a collection of stories taught to her by her beloved Jack Russell Terrier and “Keiko’s Journey” which chronicles her childhood in Japan during WWII, and “Sheer Determination,” telling her story of building a socially responsible business. 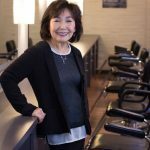 Kay Hirai regularly hosts charity events at her salon and now lives on Mercer Island with her husband and dog. Read Full Bio. For Lectures and Speaking Appearances please contact Kay directly. Kay speaks on being a socially responsible business owner in this 2012 TED talk. For Media and Interview Requests, Lectures and Speaking Appearances and for Literary Rights and/or Film Rights Queries, please contact Kay directly.